Social Map now features full, depth-shaded displays of all the mapping we have for the hundreds of thousands of waterbodies in our database, worldwide, all displayed at once on a global chart. No longer will you need to first click on a water-droplet icon and zoom in to determine how much community-sourced mapping on your favorite waterbodies is available for download for use on your compatible Lowrance, Simrad or B&G sonar/GPS chartplotter(s). * Now, when viewing the Social Map online, you can simply navigate around your region, state or country to see in an instant how much C-MAP Genesis mapping is available to help you catch more and bigger fish. Our new Social Map display updates weekly. Available mapping for specific, individual waterbodies, however, updates every 24 hours, as new sonar data is uploaded. GenesisMaps.com is the home of Social Map, the largest database of crowd-sourced marine mapping across the globe and the most powerful personal-mapping system on earth. If you haven’t been to our site yet, check it out today! 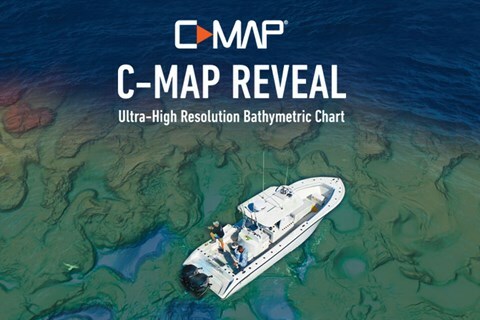 * Downloading a chart from Social Map is a process that entails first downloading a zipped/compressed folder containing five individual files, un-zipping/extracting those files and saving them onto a SD or mini-SD card for insertion, and use in, a compatible Lowrance, Simrad or B&G sonar/GPS chartplotter. I like it but the feature does block a lot of the lake names on the map. Also in an area such as a chain of lakes you may not know where a lake begins or ends. For example the Eagle River WI chain of lakes. You can record sonar files with a Gen 1 unit — and make and view maps online at genesismaps.com — but those units do not have the capability to display Genesis map files. However, if you ever upgrade to a Gen2 or Gen 3 unit or Elite unit (all can be found used for very good prices these days), the maps you made with files recorded with your Gen1 will work on the new unit. So, I downloaded a social map of a lake near me. I noticed it was only partially plotted so I have been recording my sonar each time out to add to the overall contour map of the lake. I see that one of the updated sonar files i uploaded has been added to the social map but the other 3 have not. How often do the Social maps get updated? Also, other than to look at my daily tracks, is there another way to see how much of the bottom is being recorded while on the lake or do we just have to guess based on our tracks? 1. Sonar logs containing several instances of false depths will not be included (i.e. areas where your Lowrance lost bottom or you went into thick weeds that created a false bottom, etc). Also, if you recorded sonar logs when the water level was way above or way below the median water level — and you did not apply a water-level offset — the log(s) won’t be included. 2. Social Maps get updated once a week at least, sometimes more often. I am one of the developers of the on line Atlas of Oregon Lakes (https://aol.research.pdx.edu/). We are currently engaged in a project funded by the Oregon Geographic Information Council to make Oregon lake bathymetry available on line for download as part of the Oregon GIS Framework Data. We are partnering with the Portland office of the US Army Corps of Engineers and will share their Oregon data as well. I would like to make contact with the cartography/GIS staff of Lowrance to get their advice on how best to share our data with them. This may seem an awkward way to make contact, but mail and e-mail attempts at establishing contact have not been successful. I believe my colleagues contacted you this fall, Richard. 1. in the contour map, what are those numbers placed along side the contour? is that feet or metres? 2. Sonar logs containing several instances of false depths will not be included (i.e. areas where your Lowrance lost bottom or you went into thick weeds that created a false bottom, etc). Also, if you recorded sonar logs when the water level was way above or way below the median water level — and you did not apply a water-level offset — the log(s) won’t be included.